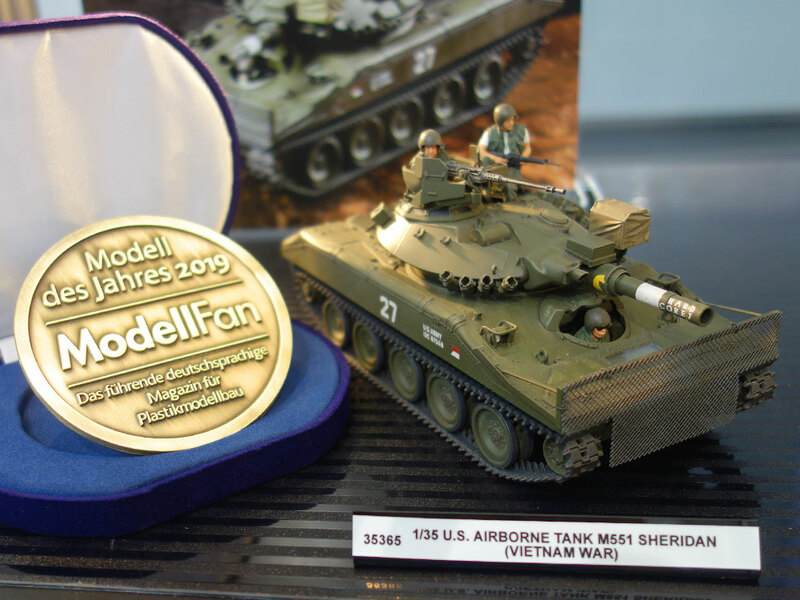 The results of the 2018 Modell des Jahres (Model of the Year) have been announced by German magazine Modell Fan has at Spielwarenmesse! 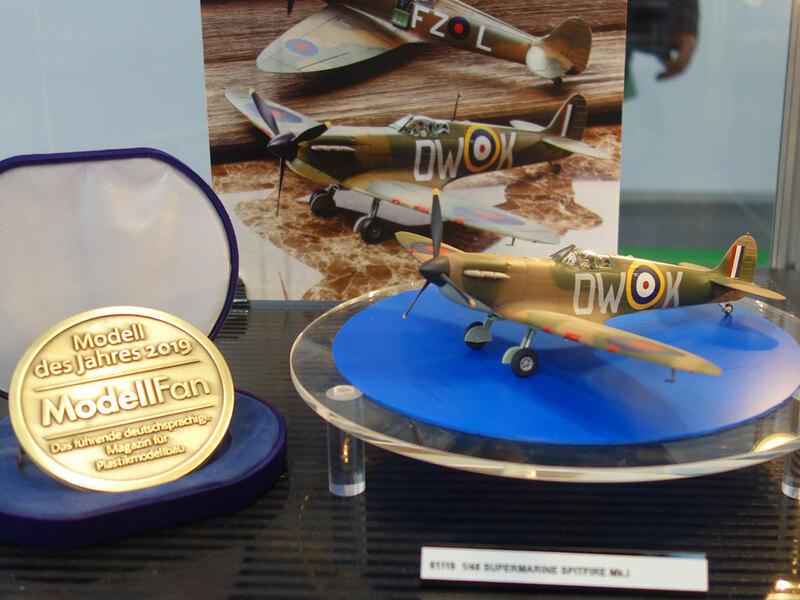 Tamiya is delighted to report that our 1/48 Supermarine Spitfire Mk.I and 1/35 U.S. Airborne Tank M551 Sheridan "Vietnam War" were both honored with the awards, chosen by the magazine's staff and readership. 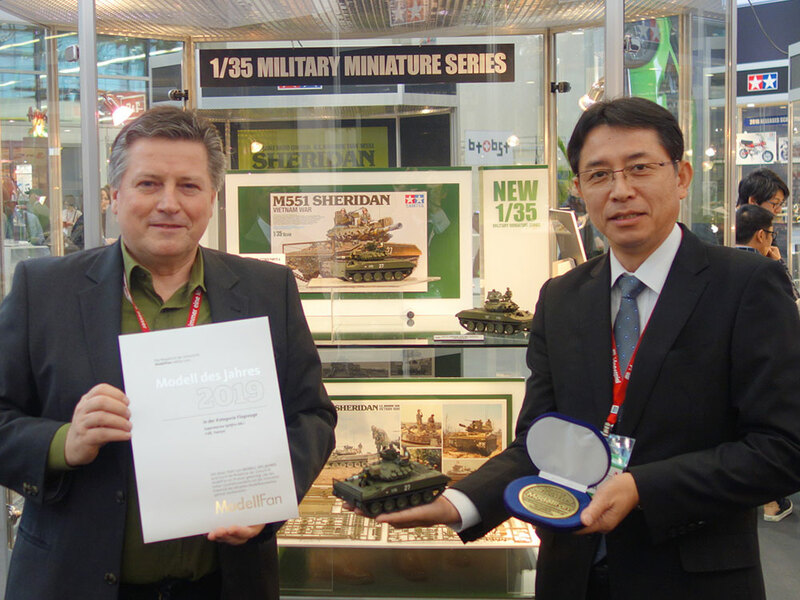 This great news follows German scale and R/C auto model magazine Modell-Fahrzeug awarding our ground-breaking 1/14 R/C Mercedes-Benz Arocs 3348 6x4 Tipper Truck model the 2018 Modell-Fahrzeug des Jahres award, and Tamiya itself a Best Brand award.